The new VynEL™ HD Badge Panel Light in Vibrant Blue is the release of VynEL™, in business card size! This badge is a remarkable light strip that allows you to ADD LIGHT.ANYWHERE. Its extremely flexible nature allows for a multitude of uses, from wearables, consumer goods, sporting goods, safety and much more. The size of this product (2" x 3") makes it an ideal choice for shirts, jackets, backpacks and more. 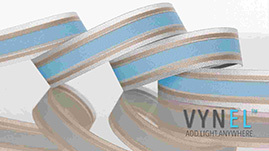 This product is just the light strip itself and does not include an inverter. 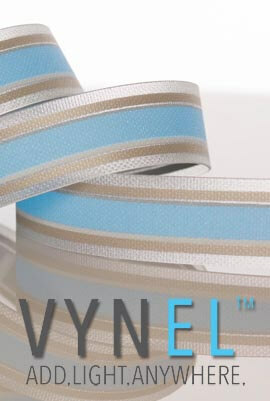 We recommend using the 9V Battery Pack which powers up to 6 VynEL™ strips simultaneously, in parallel. Badge panel has a female EZ Snap Connector on end.